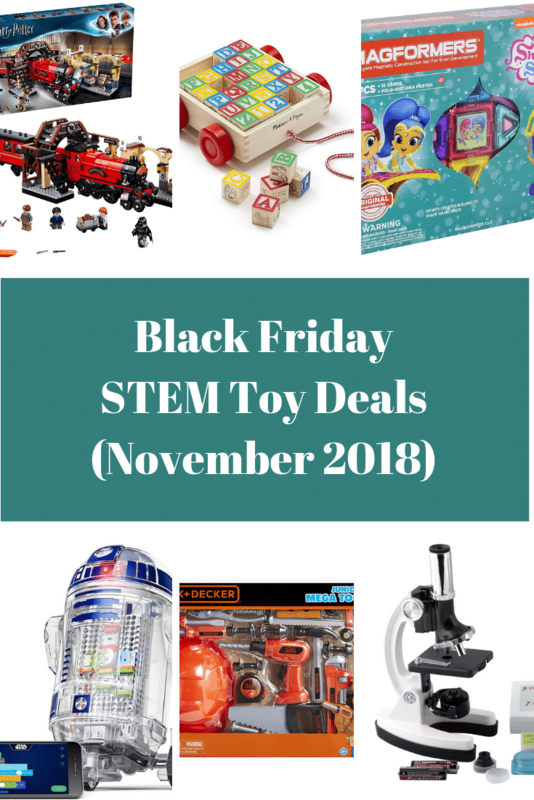 In our recent rankings of best robot kits of the past few years, we decided that the Ozobot 2.0 Bit Starter Pack is the best robot kit of its kind for under $60. Robot kits can be expensive — some of the fanciest kits cost upwards of $350 — but Ozobot provides the same quality for $59.99 and has even been given a Kapi Award for best robot toy. This kit is simple; since it’s cheaper, it doesn’t provide quite as many bells and whistles that it’s more expensive cousins do. But it has the basics, and sometimes that’s all that really matters. Kids first code Ozobot using markers included in the kit — they’ll draw the code and Ozobot will respond using its optical sensors and following the different color code. We should note that any type of markers can be used, not just this kind. You just need markers that are the colors the codes are and thick-tipped so Ozobot’s sensors can recognize the lines. The kit also comes with stickers that can be used as code, too. Before it can be used, the Ozobot bit must be calibrated, and the tutorial contains instructions on how to go about properly calibrating it. The tutorial also contains information about how to draw the coding lines, which get more complex as the child gets used to coding. After going through the tutorial to learn the basics, kids can also code their own custom lines and watch the Ozobot follow the path. Kids can code the bot to go fast, slow, spin around, and more. There are also many other games and activities that can be performed with the robot. As they become more comfortable with what they’ve learned, kids can advance to “OzoBlockly,” a drag and drop online programming language. Once the online code is written, Ozobot can quickly learn different commands using its color sensors. Ozobot 2.0 Bit is a great intro for kids, especially younger kids and pre-teens who don’t have a lot of coding experience. Few robot kits have an emphasis on both drawing code and programming it online, so this is a great, fun way to introduce kids to the logic behind coding. Drawing lines is simple, and every kid can do it, so they’ll be able to see how coding works at its most basic level before moving on to the more advanced tasks that come with the kit. Kids will have a lot of fun using this robot. Not only does it come with fun games and activities, but it also comes with options to personalize their Bit, and the Bit can be ordered in different colors (red, black, blue, and white). Some kids might not care about decorating it, but many will be drawn to the personalization options. If they have fun playing with Ozobot, then they’ll be more likely to see out more coding projects later as they become familiar with coding. This especially draws in kids who might not normally be excited about coding — creative kids who love art can have fun with Ozobot, too, between the decorations and colorful markers to code the bit. Once comfortable with the basic codes, kids can login online to use OzoBlockly, the drag and drop language we talked about earlier. Here, they can drag and drop various commands — everything from zigzags to spinning — and program the Bit to feature different light colors, including Christmas tree colors and police lights. Once they’re ready to program Ozobot, they hold it up to the screen, where OzoBlockly is transmitted via colorful lights to its sensors. Then it’s coded and ready to roll. If you have multiple children who are at the age of Ozobot (it’s recommended for ages 6+), you can get them each an Ozobot and they can use them to race each other and go through other competition activities. Suddenly after-school activities become a lot more fun! Many science teachers have began to use Ozobot in the classroom because of the ease of using multiple Ozobots together, and there’s no reason your children can’t do the same thing at home. Another plus is that the built-in battery comes with a USB charger that makes it quick and simple to recharge. You’ll never have to spend money on batteries. One potential drawback: Ozobot is very small — about one cubic inch — and while it’s a sturdy robot, it’s certainly more fragile than other robot kits. Kids have to be careful with them; we don’t recommended they be used on carpet because of how easy it would be to accidentally step on them. Likewise, kids (and parents!) should always keep track of the tiny robots to make sure they don’t end up thrown in the trash. Seriously, they’re that small! Another thing that Ozobot doesn’t have that other robot kits do is advanced functionality, but this isn’t necessarily a drawback. It’s a simple robot kit meant for younger kids just starting out with their coding adventure. It doesn’t need the bells and whistles that the pricey kits have. For older kids, we recommend the Ozobot 2.0 Bit’s cousin, the Ozobot Evo. The Ozobot 2.0 Bit is without a doubt one of the smallest kid-friendly robot kits we’ve ever seen. Meant for kids with no advanced coding skills, this is the perfect bot for learning the basics of coding and the logic behind it. And, of course, one of the big draws is that it’s affordable. At just under $60, you get a lot of bang for your buck. While the robot is small, it’s powerful and can do a lot, and it’s easy to program and comes with a simple, easy-to-follow tutorial. 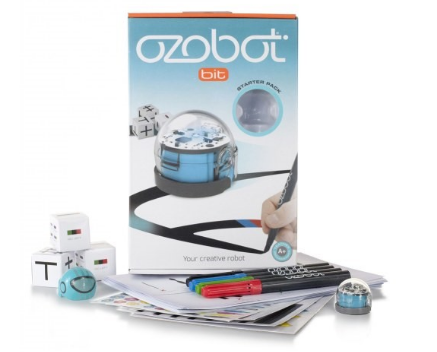 You can’t go wrong with the Ozobot 2.0 Bit; it’s very popular for teachers to use in the classroom and affordable enough to use right at home, too.